CAPE CANAVERAL, Fla – A NewSpace company based out of New Port Richey in Florida is working to provide suborbital access to space for firms with scientific payloads. The Star Lab project is an experimental suborbital launcher, designed to provide frequent, less expensive access to sub-orbit. This could allow educational and scientific institutions across the nation to conduct experiments that would normally be impractical. “If Star Lab proves itself viable, as we feel it will, this could open the door to a great many scientific institutions conducting their research by using the Star Lab vehicle,” said Mark Homnick the CEO of 4Frontiers Corporation. 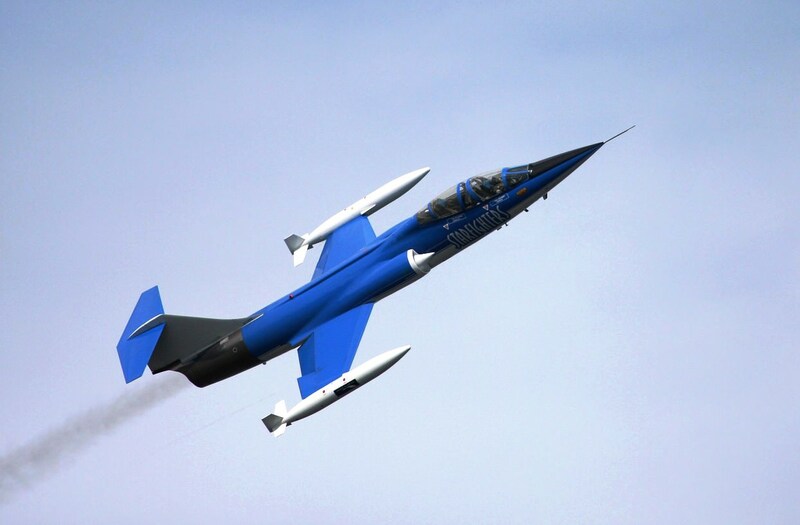 4Frontiers is working to launch their Star Lab sounding rocket vehicle into sub-orbital space via an F-104 Starfighter that is part of the Starfighters demo team based out of Kennedy Space Center. 4Frontiers hopes to launch a prototype early next year with commercial flights to follow about six months later. On Thursday Oct. 27, Star Lab began the first of its tests as it was mounted to a F-104 Starfighter and the aircraft then conducted several fast-taxi runs up and down NASA’s Shuttle Landing Facility (SLF) with the Star Lab vehicle affixed to one of its pylons. On the last of these fast taxis, the jet aircraft deployed its drogue chute. These maneuvers were conducted to collect data to test the Star Lab vehicle’s response. The Star Lab suborbital vehicle is an air-launched sounding rocket, which is designed to be reusable and can reach a maximum altitude of about 120km. The Star Lab vehicle carrying scientific payloads is launched from the venerable F-104 Starfighter jet. After the Star Lab payload stage reaches its predetermined altitude, it will descend by parachute into the Atlantic Ocean off the coast of Florida. Star Lab is capable of carrying up to 13 payloads per flight. All of these payloads will have access to the outside, sub-orbital space environment. One payload on each mission will be deployable by way of an ejectable nosecone on the Star Lab vehicle. 4Frontiers Corporation will handle integrating the payloads into the vehicle. After the craft splashes down, private recovery teams will collect and return it to 4Frontiers. It in turn will have the payloads off-loaded and the Star Lab vehicle will then be reprocessed for its next mission. The project was created through a cooperative agreement between the 4Frontiers Corporation, Starfighters Aerospace, Embry-Riddle Aeronautical University and the University of Central Florida with funding provided by the NASA Florida Space Grant Consortium. What a nice way to keep the cost for your hobby (flying a Starfighter…) DOWN, haha. So is the star lab the rocket looking thing under the wing of the starfighter? No simulations on how it might work? How many companies are interested in SUB orbital experiments? Walking is also sub-orbital. What an elegant way to do sub-orbital science! Must resist … gah … Its a drogue chute, not a drag chute. I agree, this is a nice way to cut down on the cost of a Starfighter flying hobby.